Ahhh friends, I have made it to Spring Break! We had a fun-filled last day before Spring Break. We've been reading The Lion, the Witch, and the Wardrobe. Each year we watch the movie after we read the book and have hot chocolate. So today we did just that. Then, we had an Easter egg Math activity where each student got an egg with a multiplication problem (2 digit x 2 digit) in it. Once they correctly got it right, they got a piece of candy. 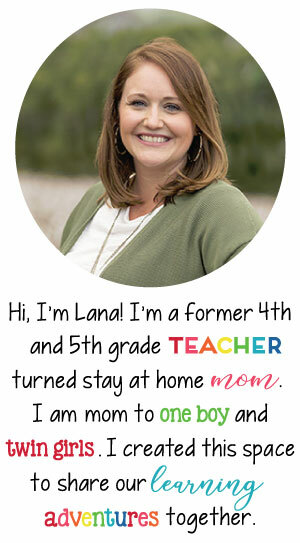 Thank goodness I had already planned a multiplication review for small groups. Whew, some really need it! After that, we had an Easter party! We had tons of snacks! Now friends, I am off to enjoy Spring Break. Bring on family get-togethers, friends, meeting friends babies, zoo trips, fun, and sun! I apologize for the lack of school related posts here, but I have been busy just surviving. Between spring break drawing near, my Masters keeping me busy, being mommy to my almost 2 year old, and just regular "school" stuff, I just haven't had time to post lately! 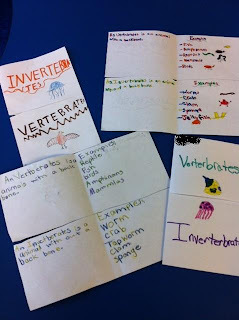 We have been learning about vertebrates and invertebrates so my students made flipbooks to describe them and show examples. Hope to post more soon! Just a quick post for tonight...We just started our motion geometry chapter where students learn about translations, rotations, and reflections. They had fun using reflection mirrors this morning. Years ago I was able to get Zoobooks, Ranger Rick, and National Geographic magazines with the school paying for them. Unfortunately, not anymore. I pulled out some old ones and my class has loved reading them. We also started reading The Lion, the Witch, and the Wardrobe. I love reading it each year! At the end of the book we always watch the movie and drink hot chocolate!